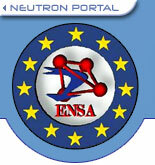 The proceedings of the JDN-21 are available ! Precipitating Sodium Dodecyl Sulfate to Create Ultrastable and Stimulable Foams. Future of the French neutron source LLB-Orphée. Residual stresses comparison determined by short-wavelength X-ray diffraction and neutron diffraction for 7075 aluminum alloy.